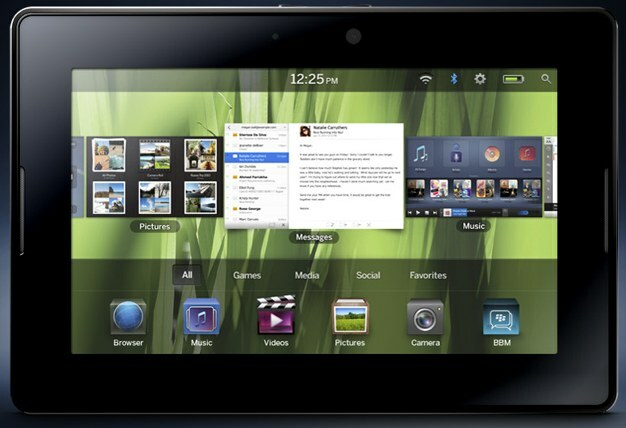 Amazon has worked hard to help widen and curate the distribution of Android apps. Amazon has their own app acceptance process, which they say will guarantee that only meaningful and legit apps will be distributed on their Appstore. We want to make it easy to download DejaOffice, no matter which app store you prefer using. Therefore, we’re pleased to report that DejaOffice is now available in the Amazon Appstore! DejaOffice in the Amazon Appstore is, of course, free and can be downloaded by clicking here. We do want to make you aware of one thing: if you download and install DejaOffice via the Amazon Appstore, you need to continue to use the Amazon Appstore in the future to update DejaOffice to the latest versions. You will not be able to update the app from the Android Market (it will fail to install – you can get around this by deleting DejaOffice and reinstalling from the Android Market if you need). This is due to the way that Amazon handles app installs and is not unique to DejaOffice, so take note for your other apps as well! We hope you’ll find the increased availability of DejaOffice useful, and we want to hear your feedback. We’d love for you to leave us a review in the Amazon Appstore! It helps us to constantly improve our app, as well as where we distribute it. Recently, we posted “5 Underrated Business Apps for the iPad” Today, we’re doing the same for the iPhone! Since the opening of the iTunes App Store, great iPhone apps have flooded market. With tens of thousands of apps available to download, finding the best ones has become a bit of a chore. There are site and blogs that try to help by highlighting the best of the best – apps like Evernote, Dropbox, and Bump, for example. The problem is, the list is almost always the same! So, how do you find the great apps that aren’t featured on the top 10 lists, but are still worthy of a spot on your iPhone’s home screen? Let us help, with 5 handpicked underrated iPhone apps for business productivity. How many times have you collected a stack of business cards at a networking event or conference, only to lose them in a desk drawer without ever entering them into your phone? If you’re like me, too many times! It has become somewhat of a chore to enter all the details from a card into your phone. That changes with CardMunch! CardMunch allows you to take a photo of a business card, then submit it to their servers where it is transcribed by real people and sent back to your phone, ready to add to your address book. The whole process takes anywhere from 5-15 minutes and definitely beats adding them all in manually. CardMunch even has a 1-tap follow-up feature that sends an email to your new contact with your info attached. Staying in touch couldn’t be easier! And since LinkedIn recently purchased CardMunch, it’s 100% free to use. So go download CardMunch and get all those business cards converted today! 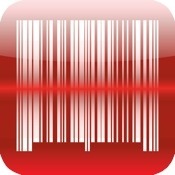 RedLaser is arguably the most accurate barcode & QR code reader available for mobile devices. 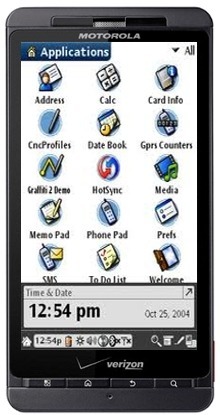 This free iPhone application allows you to quickly do a number of things. The most obvious use is to scan an item’s barcode to get more information, pricing, and availability. This proves especially useful when shopping for high-priced items, as you can easily learn if it’s available elsewhere for less. Another great use is to scan multiple items in succession, then email the results off to yourself or someone else. This is a great way to remember what items you looked at while at the store and an amazingly easy way to send off a shopping list to whoever does the purchasing in your company. RedLaser can also scan QR codes. As these becoming increasingly popular, the ability to quickly and accurately scan these codes on your phone becomes very important. With RedLaser, doing just that is incredibly simple. Put simply, this is an app that everybody should have on their iPhone! JotNot Scanner Pro turns your iPhone into a scanner. Simply snap one or more photos of a document and let the app process it into an easy to read PDF, which you can share via email, print via AirPrint, or save to Evernote, Dropbox, Google Docs, and more. For a little extra ($0.99 for 5) you can even send your scanned document via fax! The genius behind JotNot Scanner Pro is that you don’t have to carefully line up the photo. You can simply snap a quick shot at an angle, and then use the app to put it in the right perspective. It’s really something you need to see to understand how well it works! The only thing that would make JotNot Scanner Pro better is some sort of OCR (Optical Character Recognition) so that we could edit documents after scanning them. 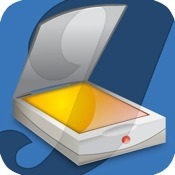 Still, when you need to digitize a document quickly, JotNot Scanner Pro is a great way to go! TeuxDeux is beautiful in its simplicity. With a highly minimalistic interface, this app lets you keep track of your todo list. For those of us who don’t need tags, categories, and other advanced features, TeuxDeux is perfect. The iPhone app syncs up with its free web-based counterpart, allowing you to access your todo list just about anywhere. Additionally, you are able to access multiple accounts from the app – perfect for those who want to keep their work and play lists separate! TeuxDeux’s minimal approach goes beyond the visual design. Moving tasks is as easy as a drag-and-drop, and completing them is as simple as a tap. If you didn’t get around to a task that was due today, it will automatically be moved forward, reminding you each day until you complete it. Since TeuxDeux’s web interface is free, you can try its approach to task management before you buy the iPhone app. Unless you require the advanced features other task managers offer, I’m quite confident you’ll find TeuxDeux’s simplicity and design a refreshing change of pace! 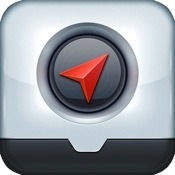 Localscope is the easiest way to find out what’s around you. With Localscope, you can quickly learn about what’s around you, find businesses, hear what people are saying nearby on Twitter, and more. Search Google, Bing, Foursquare, Twitter, and Wikimapia, all from one app. Localscope does all this in a beautiful and innovative way. Imagine you are at a conference. With Localscope, you can search nearby Tweets to see what people are saying, look up nearby coffee shops on Foursquare to find a great place to meet with new connections, or find a great steakhouse for dinner on Google. At the end of the day, Localscope does not do anything another app couldn’t do. What it does do, however, is offer a refined interface to search locally faster and easier than ever before. That functionality is well worth the $1.99 asking price. If there’s an app that you think deserves to be on this list, let us know in the comments! And be sure to tune in next week for 5 Underrated Business Apps for Android. There are many popular business apps for the iPad – Evernote, Dropbox, and QuickOffice Connect to name a few. Chances are, you’ve heard of most of these. If not, definitely check them out now. Of course, these are just a few of the many, many apps available in the App Store. So, how do you find great new apps that haven’t made it onto the top 10 list, but are still worthy of a place on your iPad’s home screen? Let us help, with 5 handpicked underrated iPad apps for business productivity. This simple app allows you to do one thing, and do it quite well! With Dragon Dictation, you don’t have to deal with the iPad’s touch keyboard or haul around a Bluetooth keyboard. You simply speak, and Dragon Dictation takes care of the rest. Your spoken message is converted to text, where you can make any quick edits needed and e-mail it off to your work computer for the finishing touches. The trick to the app’s high level of accuracy lies in its connection to Nuance’s servers. As such, you do need to be connected in order to make use of this app. That minor detail aside, once you start using it I’m sure you’ll find it hard to live without! 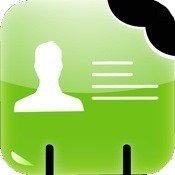 Download Dragon Dictation for free. ReadItLater allows you to save websites and articles for reading at a later date. There are a few ways to really take advantage of this app. Using a bookmark or browser extension on your computer, you are able to save articles to ReadItLater, which then get synced to your iPad. With a quick review before heading out, you can even save select articles for offline reading – a great way to stay productive while on a flight! Alternatively, you can make us of ReadItLater’s integration in other apps or via a bookmark in Mobile Safari to save articles for review on your desktop. Any way you use it, ReadItLater is an essential tool for those who need to digest large amounts of reading material on a daily basis. 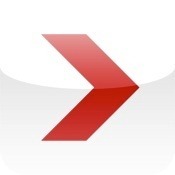 Download ReadItLater from the App Store! Popplet is almost too new to be considered underrated, but I couldn’t ignore this great little app. Popplet is web service and iPad app that gives you a virtual “whiteboard” for organizing thoughts, brainstorming and mindmapping, planning projects, creating process charts and diagrams, and more all in a simple to use, collaborative environment. It’s fast, user friendly, and it looks good. While it’s still a fairly new service, it certainly has a lot of potential and will undoubtedly help you be more productive on the go. Learn more about Popplet at their website and download the app here. 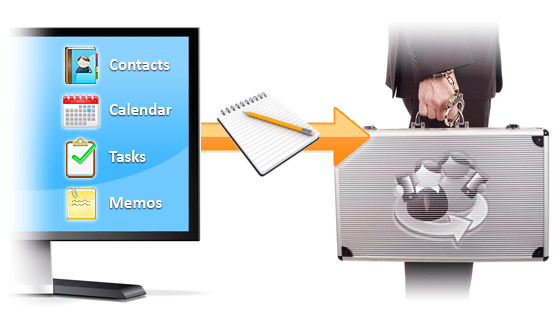 iTeleport lets you access your computer from just about anywhere. Simply launch the app on your iPad when you’re connected to the internet and you’ll be able to actually control your computer right from the screen! iTeleport works with Macs and PCs, and has been designed specifically with the iPad’s touch interface in mind. With such instant and easy access to your computer, your iPad becomes much more powerful as a productivity tool. In the world of App Store prices, $25 may seem like a lot, but the benefit that this app brings far outweighs the initial cost. Head on over to the app store and download iTeleport for yourself. The iPad is a great tool when you are out on the go, but how can you make it useful even when you’re at your desk in front of your primary computer? The answer is Air Display. Air Display lets you use your iPad as a wireless second monitor. The extra screen space allows you to constantly keep tabs on your inbox, to-do list, calendar, or whatever you choose to display, all while keeping your main desktop free of clutter! Not only that, but Air Display actually lets you take advantage of the iPad’s touch screen as a secondary input device as well. Air Display works on both Mac & PC. Check out the requirements, learn more, and download the app today. Is there an app that you think deserves to be on this list? Let us know in the comments!